Three Romanians who conned eBay customers out of thousands of pounds have been sentenced to a total of eight years' imprisonment. The "cell" tricked customers into paying for £300,000 worth of fictitious goods which never arrived. The man said to be the gang's ringleader, Nicolae Cretanu, 30, of Forest Gate, London, was given a three and a half year term for the fraud. His wife Adriana, 23, and George Titar, 26, both got two and a half years. The couple advertised everything from non-existent cars to concert tickets and used 12 aliases and an accomplice to collect the payments. Their accomplice Titar, of Stratford, London, collected payments from money transfer shops. The two-year scam was successful because buyers on eBay have to pay before they are sent their goods. People were told by email that they had been unsuccessful in their first bid but were offered a "second chance" to buy a similar item. But the goods they purchased never arrived and the trio managed to net at least £300,000 from the scam. 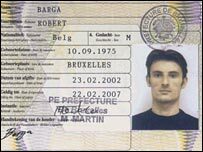 The majority of the cash was sent back to the gang's accomplices in Romania in what the police described as a well-planned and sophisticated fraud. The racket was finally exposed after suspicious staff at money transfer firm Western Union alerted police. Chief Superintendent Nigel Mawer who led the operation said the fraud was operated by a "significant cell of Romanians operating in London". "We believe there were 3,000 victims of this fraud and this type of fraud is still continuing." He said that up to a £1 billion worth of fraud of this type took place in the UK a year. Titar was considered by the police as the gang's "foot soldier"
And he issued a warning to potential internet auction customers: "Don't use money transfer to send money to anybody who you don't know personally. "It is not designed for that and Western Union support that and work with us on that," he said. 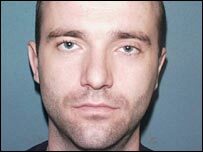 Chief Supt Mawer added that the cell's accomplices in Romania had been arrested and were awaiting trial. He stressed that internet auctions were essentially safe as long as customers followed the "good guidance" on how to buy safely. In this case people were duped into not following those rules, he said. Responding to the case, eBay issued a statement saying it was sorry that anyone had suffered through their association with eBay but pointed out the transactions had not taken place on the internet site itself. "As soon as we were made aware of them we took action. By working with the police we helped ensure that the prosecutions were successful, showing that crime does not pay on eBay. A spokesman said: "The criminals used the site to gather information and initially to contact their victims but carried out the fraud separately beyond the protected environment we provide. 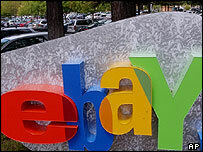 "Payments were made using Western Union money transfers, which both eBay and Western Union strongly recommend against. "In fact, eBay.com in the U.S. has banned payment via Western Union and eBay.co.uk will soon be following suit." As well as pursuing the gang's "cohorts in Romania", Chief Supt Mawer pledged to pursue asset confiscation procedures against the gang with a view to creating a compensation fund for their victims. The sentencing comes after the trio pleaded guilty at Middlesex Guildhall Crown Court to conspiracy to obtain fraud by deception and money laundering earlier this year. Their arrests in May were prompted by an investigation by Scotland Yard's specialist economic crime unit.